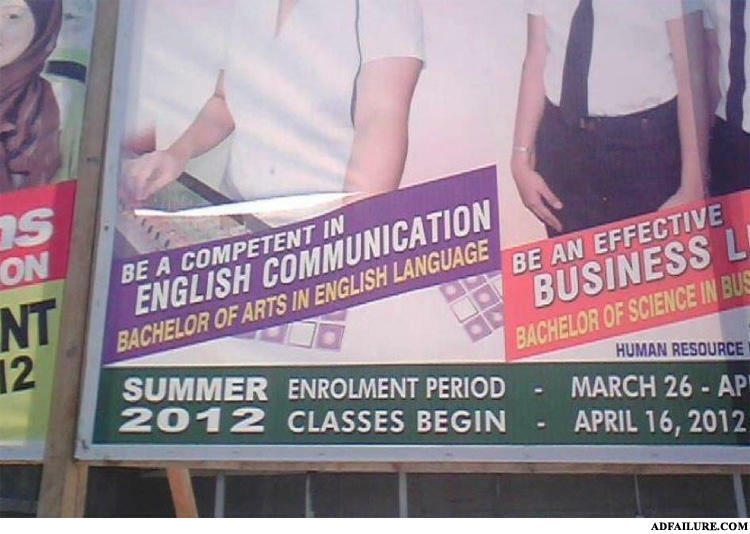 Be...a...competent in english communication. I mean you can be a competent but how about just competent in english communication..
Oh. No, it's really spelled that way in England. "Be more competent than the person who made this sign!" Yeah, *sigh* good ENGLISH COMMUNICATION guys! -Hey, I lost my number. Can I have yours?